Higher Ground Haven | Support For Your True Voice! Take The High Road Here to HIGHER GROUND–Where Positivity, Comfort, and Empathy Abound! A Safe Haven For All Compassionate, Introspective Souls. The intention of this blog is that it will be a supportive site for you to get inspired and feel uplifted, validated, and enlightened in a like-minded community of compassionate souls. The highly intuitive soul is the person who is deeper, a higher-level thinker, a compassionate responder, to all that we come across in our daily lives. We are the potential visionaries, artists, scientists, philosophers, and composers. We are the entrepreneurs, the writers and poets, the psychotherapists and healers. We are the conservationists, nature-lovers, practitioners in alternative medicine, activists for human and animal rights, and the creative professionals in many fields of study. We are different from each other in many ways but what is the common thread among us is our compassionate spirit. Most intuitives have the depth of heart and compassion for how our lives affect the lives of others and we wish to not only cause no harm but enhance the lives of others who share the planet with us. We have the ability to look inward at ourselves as the first solution to a problem–to look for an inner guidance, a positive response, and what we can learn from each and every situation. We rarely blame, lash-out, or condemn others who are different from ourselves–we appreciate each other’s uniqueness. And if we ever do respond in less than a kind way we are quick to feel regret and remorse, admit our mistakes, and apologize genuinely from a heart full of empathy and compassion for those who may have been affected. Compassion for the feelings of others is the gift that unites most of us intuitives as a group and we are growing in strength and number to the benefit of the planet that we share. Here you will have a safe haven that is a community of fellow compassionate responders. We are the opposite of nay-sayers–we are the positive-minded, seeking to rise above the negativity around us, to surround ourselves with loving, compassionate energy of the highest vibration, so that we may attract more and more positive people, things, ideas, and events into our lives. May we rise above the lower actions and be illuminated to higher heights in our hearts and minds. Here on HIGHER GROUND feel free to express your true voice–leave a comment or email me to submit a post as a guest writer or just stop by and read from time to time. I hope you’ll be inspired as we take the road less traveled–it is the high road to HIGHER GROUND. Thank you for your comment and for following me! Wonderful to meet you. Your blog is fascinating–I am always seeing numbers that confirm for me that I am on the right path but your blog makes me want to learn even more. Thanks again! Thanks for the follow, as well. And I’m happy that you are enjoying my blog, too. Hi Roxanne, thank you for this great post – I can really relate to it as I am an intuitive empath too. It is so wonderful to connect with other like-minded Souls and at last be able to share, express and support each other. Thank you! This is awesome. Thank you for liking my About page so I could find this page. I’m in the process of writing my Monday blog and it is about following your inner voice and living your purpose. Hi Brenda, Thank you! I’m so glad that you like it. That’s amazing that your topic is inner voice and true purpose–hope I can provide some inspiration here! 😀 Nice to connect with you. Best of luck with your blog and book! I am glad you liked the book trailer. You are doing wonderful work here and I really like the listen as you read option – very nice. Really thoughtful quotes that you have assembled here – nice. Hi Mary-Ellen Kelly, Thank you so much for your comment and for your kind words about my blog and work. So glad you like the music player option–wasn’t sure many were using it so it’s nice to know you like it. The video trailer is so good–I still feel good when I think about it–made me feel so special to be a part of our amazing planet and Universe!! I “pressed it” to look at again later. Best of luck with your Book!! Love this idea, I often feel or sense feelings within another person even if they have not said anything I feel a vibe coming off them, Accepted it long ago that I am a sensitive person who notices and feels things that others don’t. Compassion is something my father believed to be a gift to share with the ones who need it. Some people believe its a weakness. I prefer to think it is a human trait more people need to embrace. Kath, Thank you so much for your comment and for expressing your enthusiasm for this idea of a community of compassionate souls supporting each other. I agree with you that the human trait of compassion is a gift that more people need to embrace. Your father sounds like a wise man. Thank you for sharing about yourself–from your description, it sounds to me like you are an empath with clairsentient abilities–I am as well! 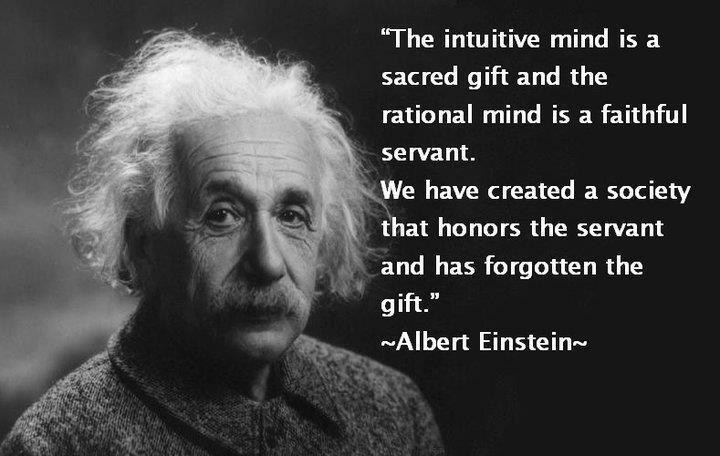 This is a rare and special intuitive gift. 😀 I will be writing more about empaths and being an HSP in future posts. Also, thank you for the follow! Welcome to Our Community! Roxanne I love your blog, so original and unique, I will recommend it to others for sure. Thanks for following me. I lost my dad to cancer some years back, but he stays in my heart. I was there when he left us, having the gift to whisper in his dying ear. That I was blessed to be loved by someone as wonderful as him…(Kacy and the sunshine Band ..song) it came on the radio as I drove into my Dad’s driveway, i knew I it was meant for him on his last day. He was in a coma but he moaned when he heard those words. Love to hear more about the empath, even as a young girl I always had this vibe that good things were going to happen. I lost it for awhile but it has returned. Thanks, Kath, I feel the same about your blog. Means a lot to me that you would recommend it to others. 🙂 Wow, what an amazing and touching story about your Dad! I am so sorry for your loss. Yes, I believe it! I have synchronistic things happen to me too like that which helps me feel connected to a spiritual guidance and to my higher self. Sounds like you are also a highly evolved soul. So glad to hear you are connected to this vibe now. How wonderful! My respect to you for your contribution. I feel inspired by your words. I hope you don’t mind me contacting you but I wanted to let you know how pleased I am to have found your website! I am currently in therapy after a brutal experience with a narcissist client, who’s actions caused mine and my husbands business to collapse and who’s behaviour caused me to have an emotional breakdown. My physical & emotional reaction to her was so powerful that eventually I became totally overwhelmed and unable to cope, even with the smallest of domestic tasks. I went to the doctor, who put me on anti depressants-not for the first time in my life. After 3 years i decided to stop taking them and to go into therapy because I could see that my reactions to certain situations and people was not ‘right’. I have been seeing a therapist since January and it has been utterly mind blowing. After a number of weeks it started to become clear that the reason I had reacted so strongly to the client was because I had had experience of narcissists in the past-my parents. It was truly scary, shocking and almost unbelievable and unbearable to me at first, but the more I looked at my childhood experiences the more this made sense to me. I can now see how my sensitivity and empathy has been exploited by them both and how their attempts to control me-emotionally, physically, financially-has taken it’s toll on my health and that it is no longer tenable for me to continue to live like this. I am terrified of them-of upsetting them, hurting their feelings, saying no to them, refusing them access to me and my family. However, I can slowly feel the balance tipping and my desire to protect myself and my family is getting stronger than my ‘need’ to do everything in my power to please them and to be responsible for them and their feelings. They turned up at my home, unannounced, yesterday after, (out of politeness and because it was all over social media), I had informed them the previous day of the death of my sister in law. I have no idea why they came & because they got nothing from me-and my daughter was off school poorly-they left shortly afterwards. Not before asking several times about her death and how my husband is. It felt all wrong, I can’t find any other way of describing it, and I spent all day feeling emotionally wrought, like I’d been violated. I am sending them both a text message today to tell them that they need to call or text from now to ask to come round, so that I have the opportunity to say no, it’s not a convenient time/day. The thought of saying it to their face fills me with terror and makes me feel physically sick. Although I am feeling like a text message is a cop out, I am unable, at the moment, to do it face to face. The other, perhaps deeper, issue is that my biological father, whom I used to see regularly until I was 4-5, was told categorically one day when he arrived to collect me, that ‘I’ didn’t want to see him. He left in a rage and I never saw him again. He was never mentioned or talked about ever again and I ‘knew’ that I could not talk about him, so it was like he died and I never grieved because it wasn’t ‘allowed’. When I was 6 my step father adopted me and my mother adopted my step brothers and we became one big happy family. Well, that was what was put on show to the outside world anyway. Then, a year or so ago, my mother called and dropped it into the conversation that her cousin is ‘cross’ with her for not telling me ‘before’, but that I have a 1/2 brother. It transpired that my eldest step brother had just told his own children about his biological mother so I’m guessing that this was my mother’s attempt at being honest with me. She then said that she had no idea where my biological father or 1/2 brother were but that my father was no longer with ‘that woman’. Just like that, dropped into the conversation and no mention of it ever again. So I am left feeling that I am fighting 2 battles to get to my true self-against the narcissist parents who ‘took’ it away from me and continue to try to control me and through the quagmire of adoption and looking for my father and brother. I am clearly not going to get ANY help or support with that from my parents! One of the things that has kept me going since I started therapy-apart from my husband, children and a few good friends-is the belief that I am a sensitive and empathic person and that this is a true gift. Despite meaning I have been depressed and emotionally numb all my life, it has always compelled me to want to help others who I could feel were in pain, even though I was in immense pain and repressing it all. The ‘light’ never extinguished. I now believe that this will be what leads me out of the darkness and towards my true self, to where I belong, with my people and my true family.